I have yet to meet a Katie Ruggle story that I didn't like and In Her Sights is no exception. Being the first in a series with an overarching mystery, this book naturally sets the stage for future books as well as introducing the cast of main characters yet at no time did I ever feel overwhelmed or confused by the number of characters in the book. Also, while Molly's sisters all have roles in this book and we begin to know each one's individual personalities and quirks within the family dynamic, the primary focus remains consistently on Molly and John. Did I mention how much I adored Molly and John? These two are so much fun. I loved their chemistry, their banter, and how they oh so slowly move from rivals to temporary bounty hunting partners to friends and then more. Molly is independent, sarcastic, and a protective mama bear to her younger sisters. Her take-charge attitude has been ingrained since she was a young girl and it's not about to change now. But who takes care of Molly? Enter John Carmondy, a mountain of a man with a sweet smile, protective nature, and a marshmallow heart, at least when it comes to Molly. "He's in loooove," Felicity cooed, and Molly jabbed her sister in the side with her elbow. "How have you not realized this? He basically has cartoon hearts where his pupils should be whenever he looks at you." He's head over heels and, of course, Molly is the only one who doesn't see it. She thinks the only reason he seems to be around when things go sideways is because he's trying to steal her skips. Nope. John's motivation is something else entirely. Watching these two strike sparks off one another was pure pleasure. Watching them finally come together was even better! While the tone of this book is lighter than Ruggle's previous books, there's still plenty of action and a mystery at its core. Get ready for lots of twists and turns as Molly, John, and Molly's sisters all work together to discover what their criminal mother has actually done this time and where she's fled. Pieces of the mystery will be solved in this book but there are still questions to be answered in future ones. As for Molly and John, you can expect a smile-inducing, happy ending for those two and, undoubtedly, more shenanigans in the future. 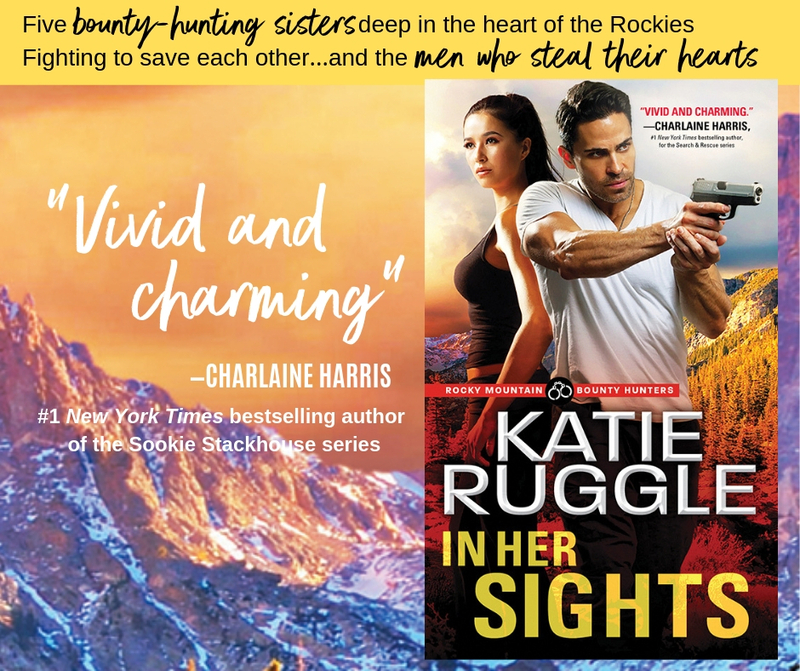 Have you read any Katie Ruggle books yet? Do you have a favorite? Do you enjoy your romantic suspense light and humorous or dark and twisty? Or perhaps, both? Definitely not dark, but love a twist or 2 and some humor. And I have not read this author. I love her books! Her first two series are quartets with a mystery that begins in book one, plays out over the course of the quartet, and is finally concluded in book four. Obviously, I recommend reading the books in each series in order. 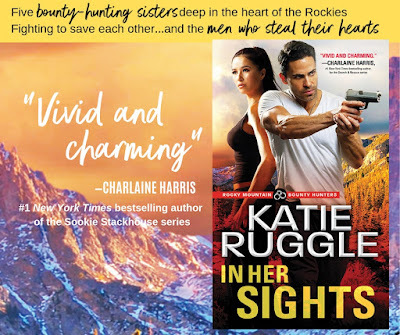 You know, I got a little taste of this series through the free romantic suspense anthology titled, Turn the Tide by Katie Ruggle, Adriana Anders, Juno Rushdan and Connie Mann. She is an author that I had been meaning to read for some time, now. The series looks like great fun and the free anthology was in and of itself also fun reading. Enjoyed the stories in it. I have issues with anxiety - and intensity - so I can only do romantic suspense which is not too dark. You have made this book sound interesting. Your review makes it evident that Ms Ruggle writes really well. I've read several her books. It all started with Run to Ground. I own several of her books that are waiting for me on my kindle. Thanks for the review PJ. I love her books. They all stand out and I haven't found a favorite yet. I am currently working my way through her K-9 series. This new series promises to be a good one. Forgot to add I like my romantic suspense with all of the elements you mentioned. A bit dark and twisty with a touch of humor is my favorite. Patricia B.